For the Axiom lawyers determined to prove they’re not boring barristers, 8,700 square feet inside a landmarked New York building seemed an unlikely choice. 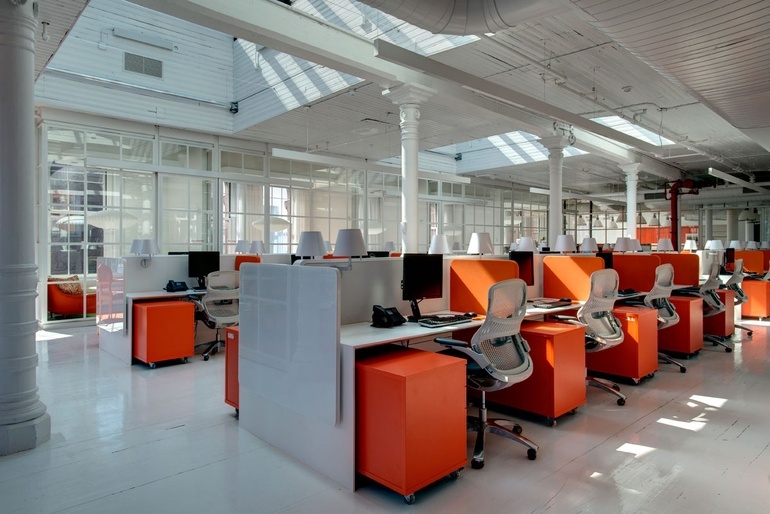 BHDM Design reconciled the incongruities by retaining original architectural details, but painting them glossy white. 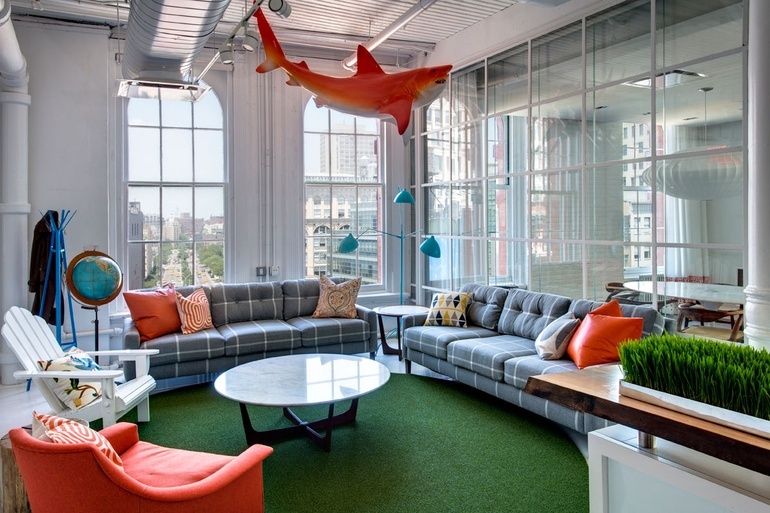 The firm then installed an 8-foot-long shark in Axiom-orange fiberglass over reception’s Astroturf rug and symmetrically assembled straightforward workstations beneath existing skylights. 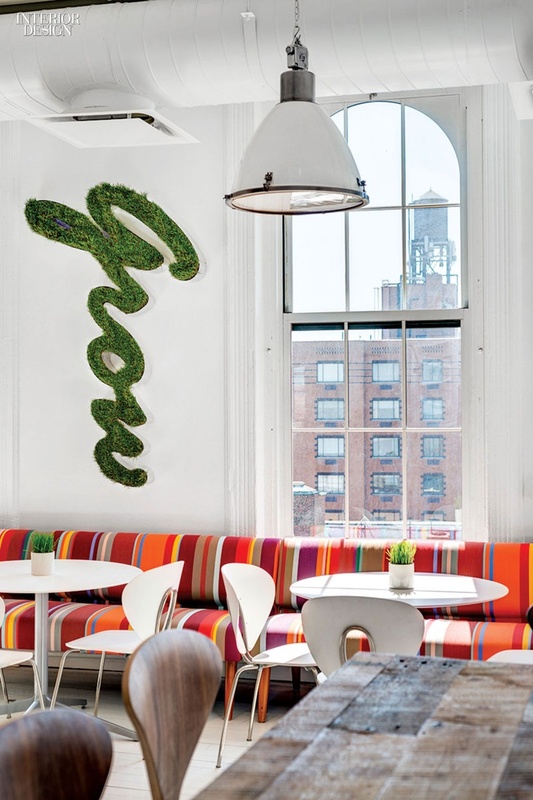 The café boasts retractable bleachers reclaimed from a school gym. 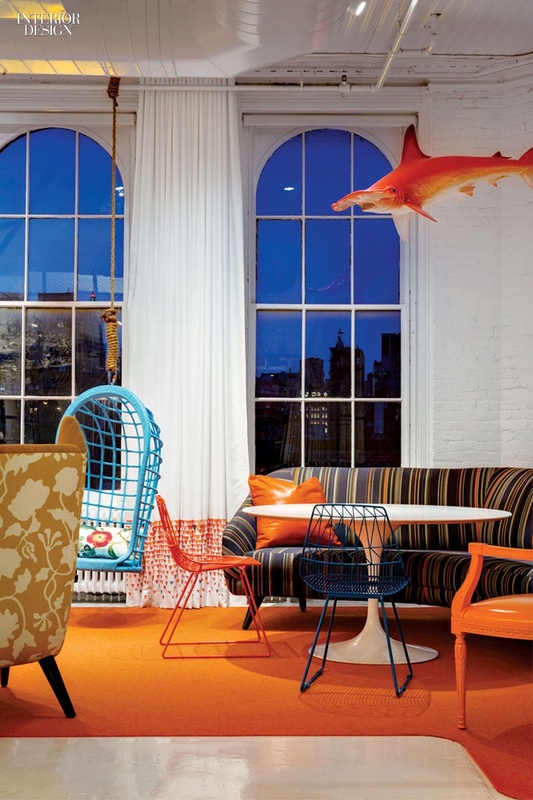 An edgy mix of mid-century and contemporary furnish meeting areas, i.e. “living rooms.” Clearly, we’re not in high court anymore. 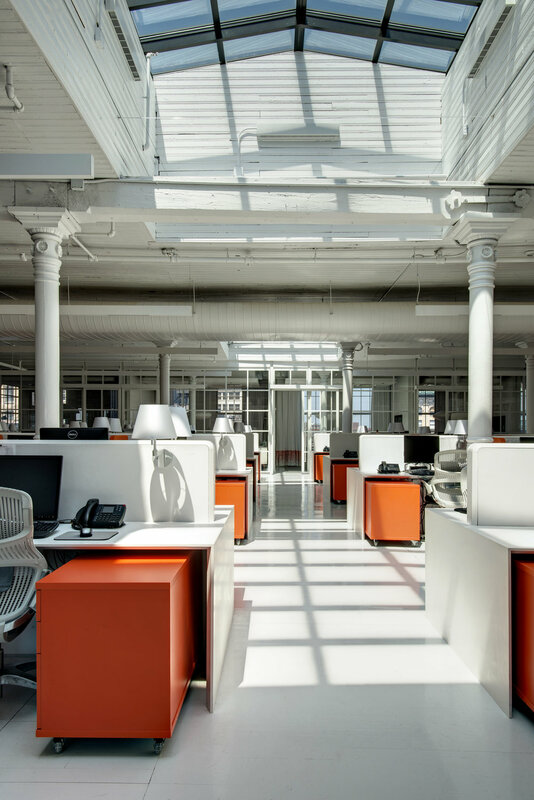 At the New York office of Axiom, BHDM Design retained the 19th-century cast-iron columns and beadboard ceiling. ONLINE EXCLUSIVE. Photography by Adam Macchia.